VolunteerAR coordinates five service days throughout the year, developing partnership projects and toolkits for citizens across the state to make a difference in their communities. This page is updated as plans are developed for each year. 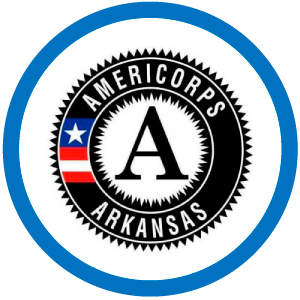 If you are interested in partnering or planning a day of service in your community, reach out to VolunteerAR@dhs.arkansas.gov or call us at 501-682-7540. Dr. Martin Luther King Jr. lived his life serving others. Following his example, millions of Americans serve on Martin Luther King Jr. Day of Service. At our children's schools, at a local shelter, or lending a hand to help our neighbors – we join Dr. King as drum majors for justice, peace and righteousness. In 1989, President George H. W. Bush signed the Martin Luther King Jr. Federal Holiday Commission Extension Act accompanied by Mrs. Coretta Scott King, wife of Dr. King. On MLK Day, Points of Light calls together its community of changemakers to reflect on gains won during the Civil Rights Movement and to address contemporary issues facing our nation through act of volunteer service. National Volunteer Week is an opportunity to recognize and thank volunteers who lend their time, talent, voice and support to causes they care about in their community. Their stories can serve to inspire others to find ways to take action that creates change. During National Volunteer Week, we celebrate the impact of volunteer service and the power of changemakers to come together to tackle tough challenges, and build stronger, more vibrant communities. VolunteerAR is coordinating a Day of Service on April 13, 2019 in honor of National Volunteer Week. The September 11th National Day of Service and Remembrance is the culmination of efforts originally launched in 2002 by the nonprofit 9/11 Day with wide support by the 9/11 community and leading national service organizations. This effort first established the inspiring tradition of engaging in charitable service on 9/11 as an annual and forward-looking tribute to the 9/11 victims, survivors, and those who rose up in service in response to the attacks. 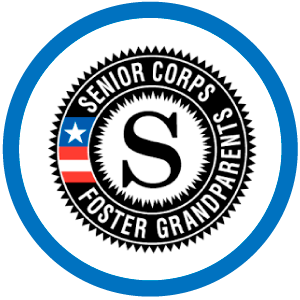 Click here to learn how you can engage youth in September 11th National Day of Service and Remembrance initiatives. Family Volunteer Day is a day of service that celebrates the power of families who work together to support their communities and neighborhoods. Volunteering is a great way for kids and adults to make new friends, develop compassion for their neighbors, and even pick up a new skill or two!